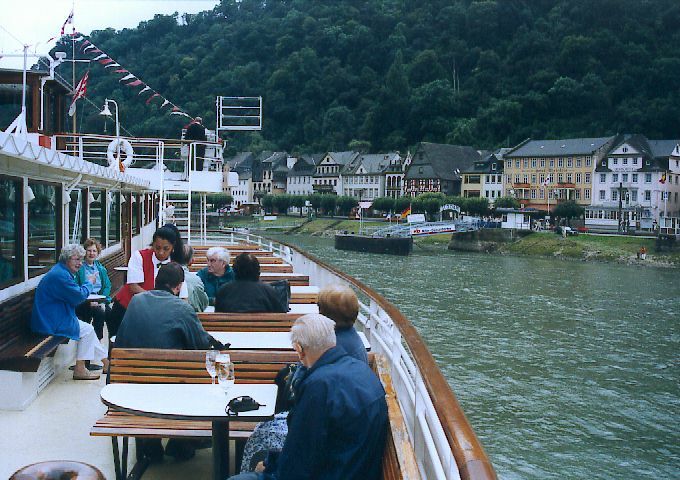 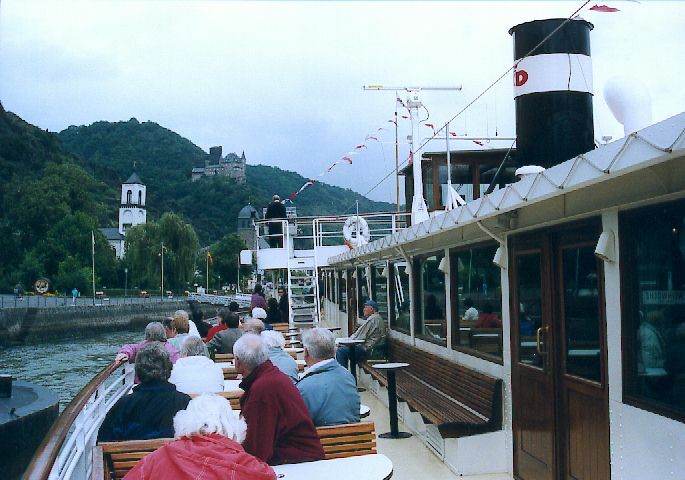 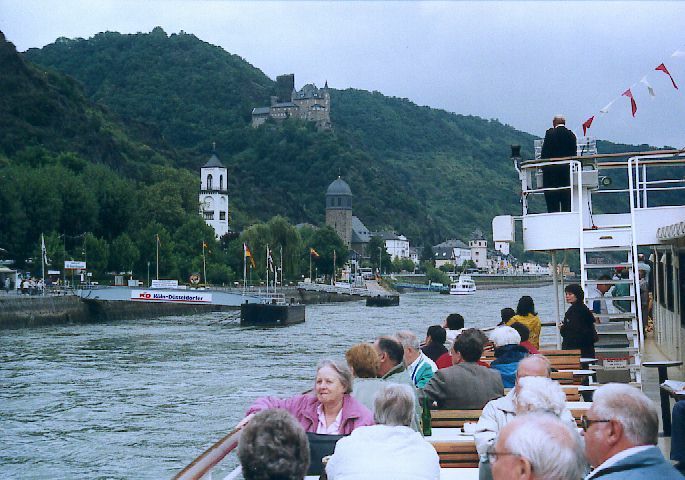 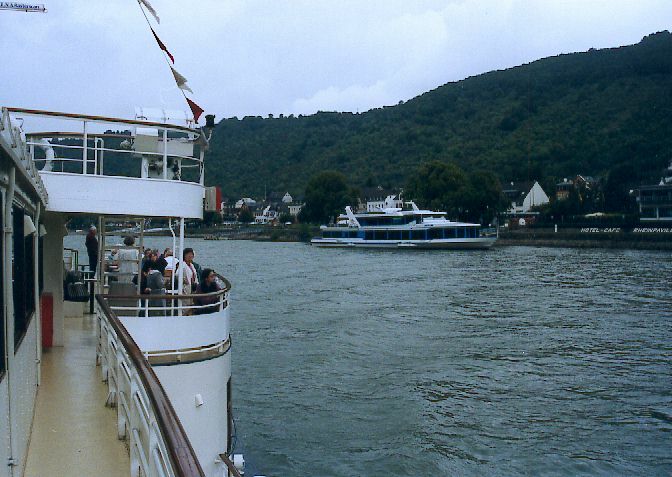 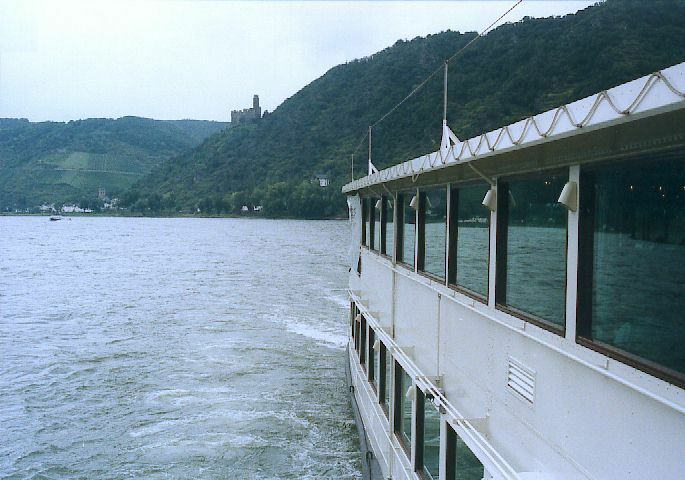 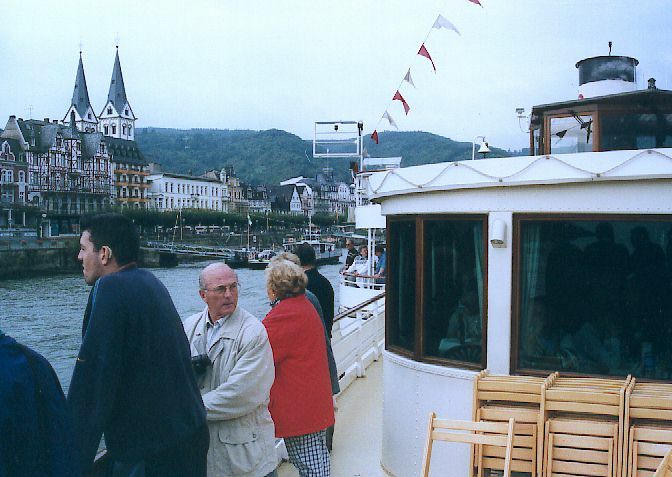 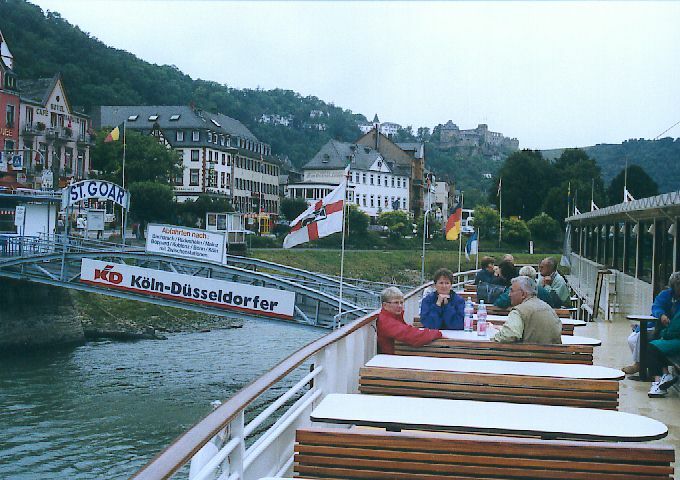 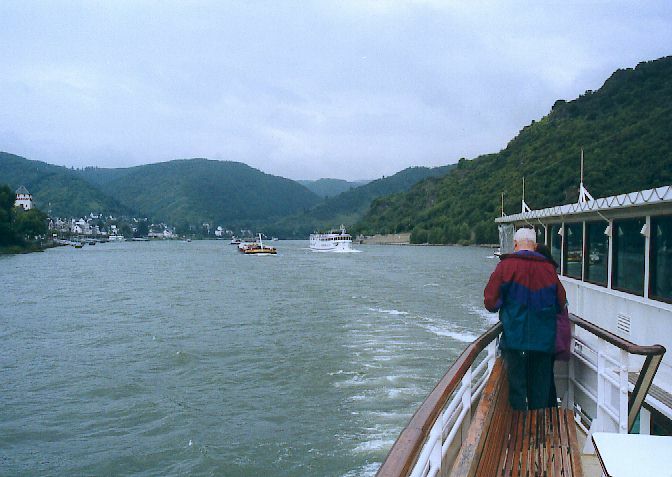 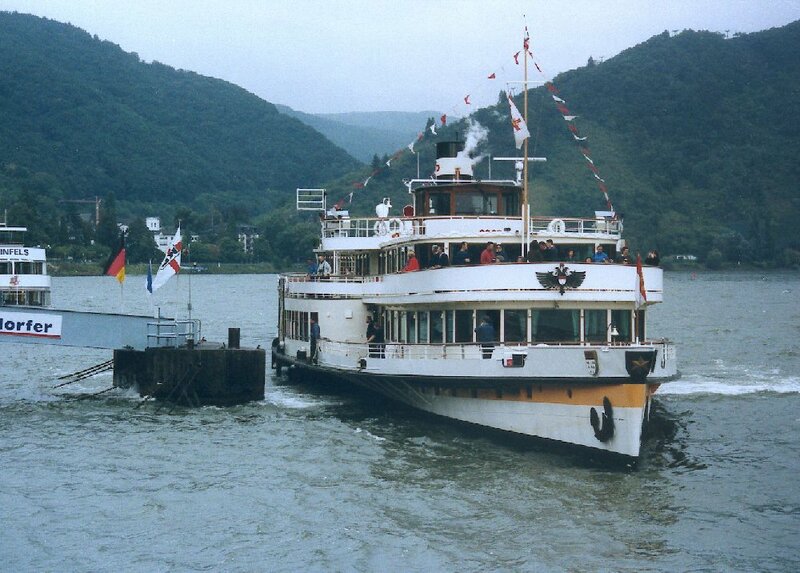 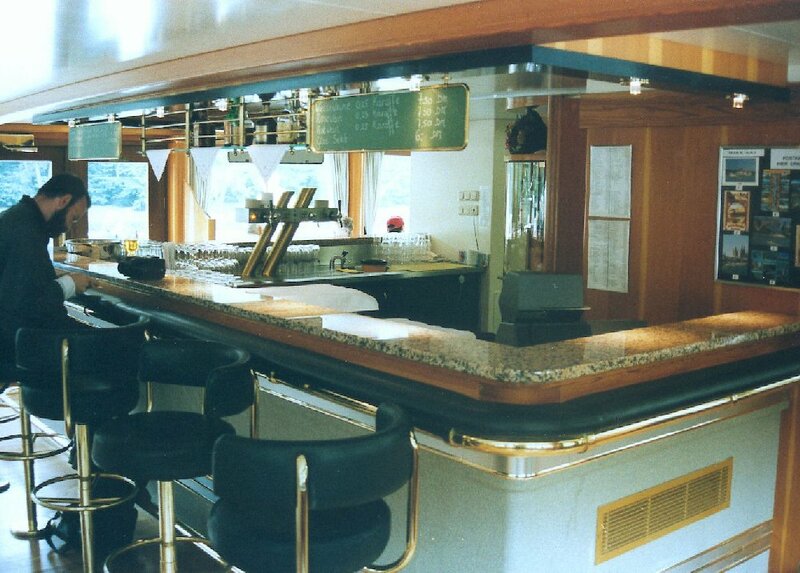 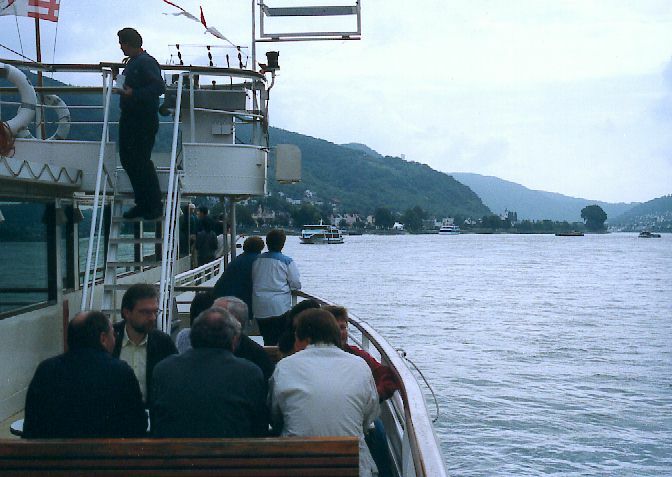 Above : Goethe calling at Boppard on its way upstream in 2000, four years after returning to service fully refurbished following a seven-year lay-up. 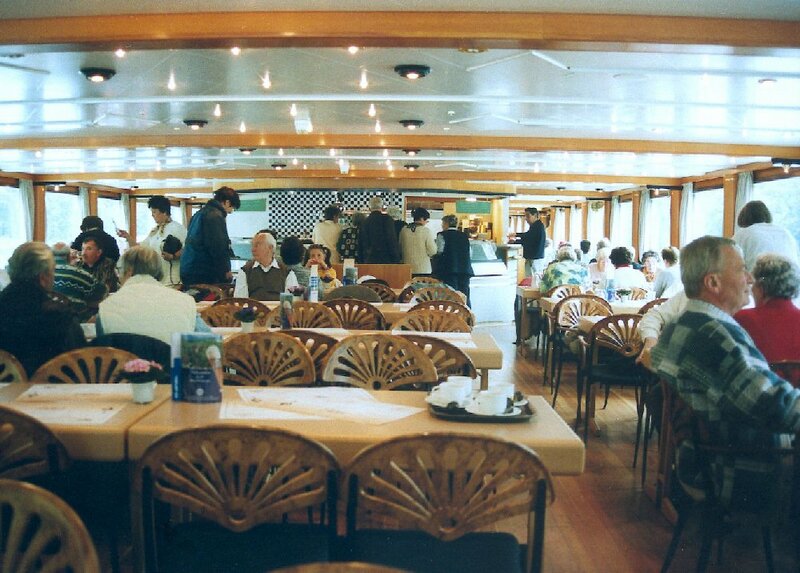 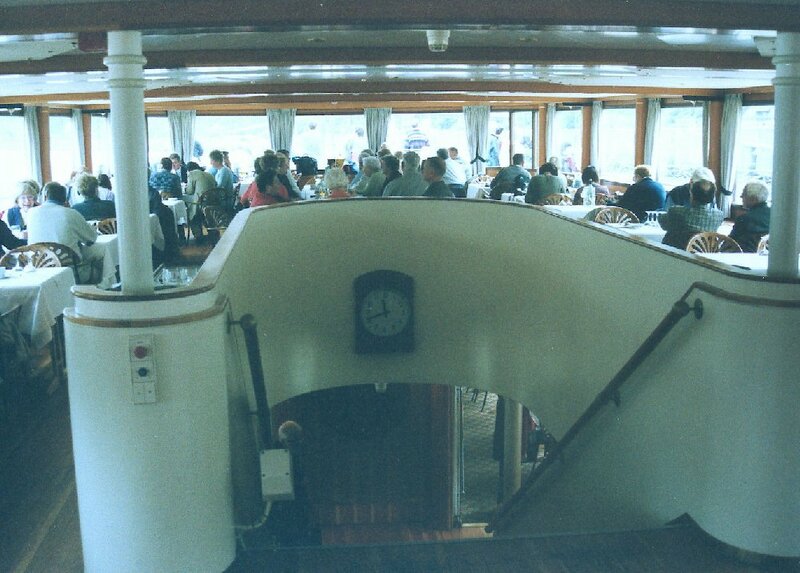 Below : The upper deck, with its central bar area, is a large single open saloon with tables and chairs, is effectively the enclosed promenade deck. 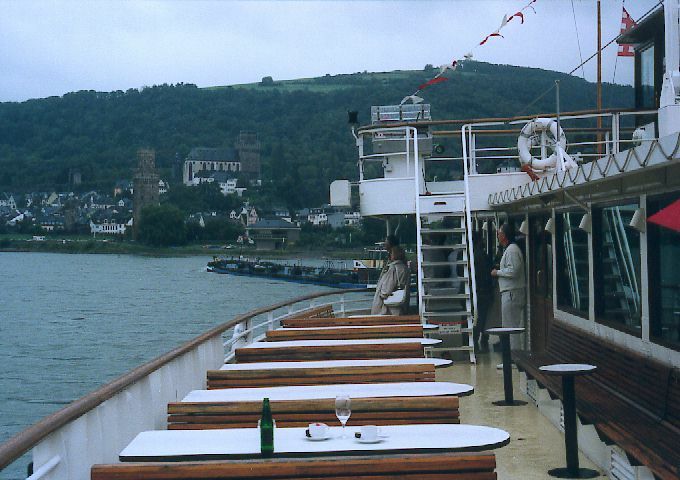 Below : There is not an enormous amount of open deck space on Goethe. 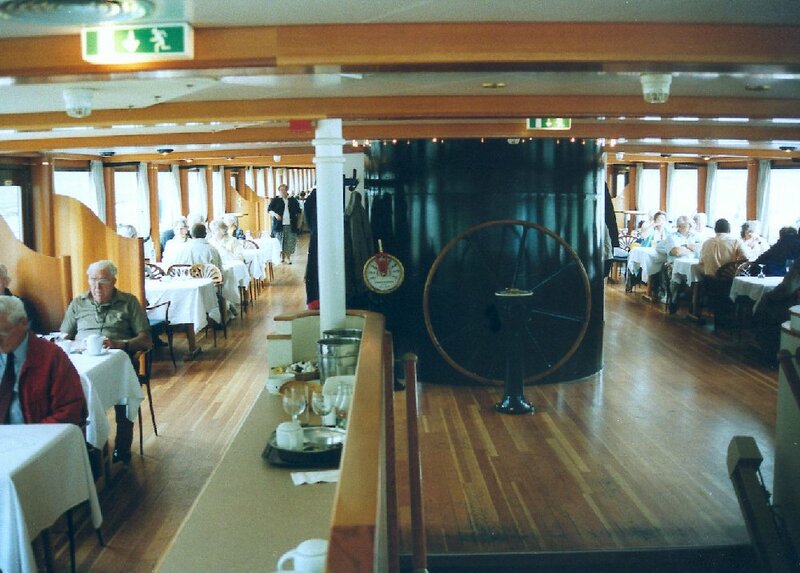 The largest spaces are on the sponsons above the paddle boxes from where there is also direct access to the main deck behind the paddles. 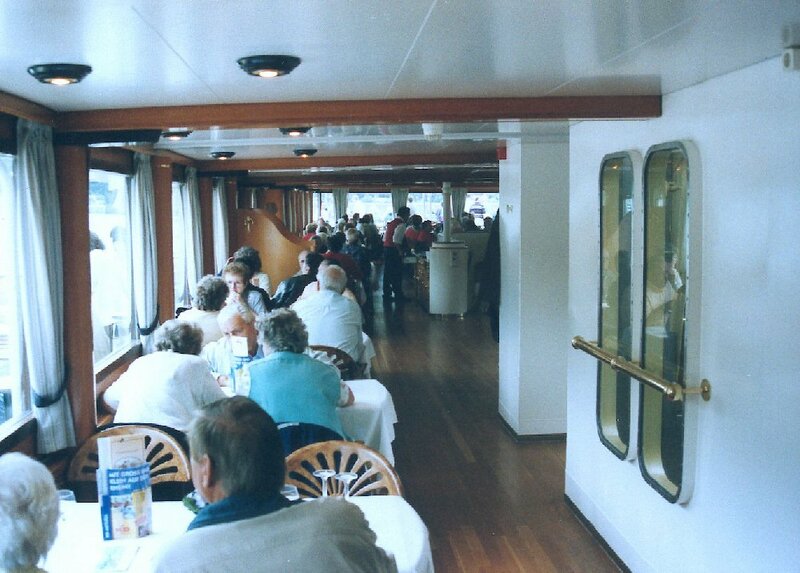 This space was opened up when she was refurbished for her return to service in 1996.